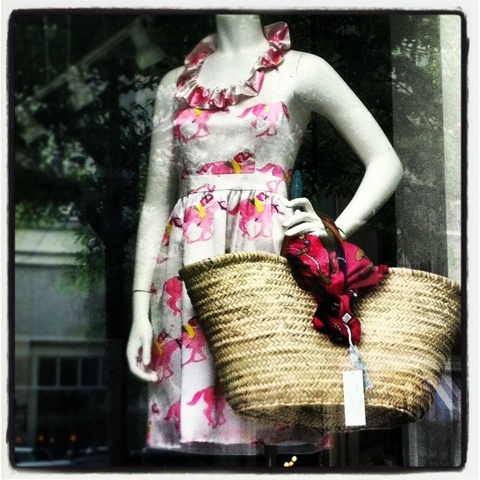 Love this fun look from the windows of Fleur. The dress has a Mad Men-ish quality to it, and a sense of humor with the pink racehorse print. The straw Moroccan Rabat bag is the perfect summer tote. Room for everything, and can go to the beach with you too! Adding the scarf is a great way to change up the look-adds color, and dresses it up a touch.